Recently Fr. Jim Betzen requested our prayers for his parishioners in Ottumwa, Iowa. He asked for our prayers for 32 undocumented workers who were arrested and detained in an ICE raid in Mt. Pleasant, Iowa. He also asked for prayers for their families. As Fr. Betzen has said, many of the Hispanic families in Ottumwa with undocumented members are living in fear. They are not dangerous criminals, but rather, hardworking people trying to support their families. 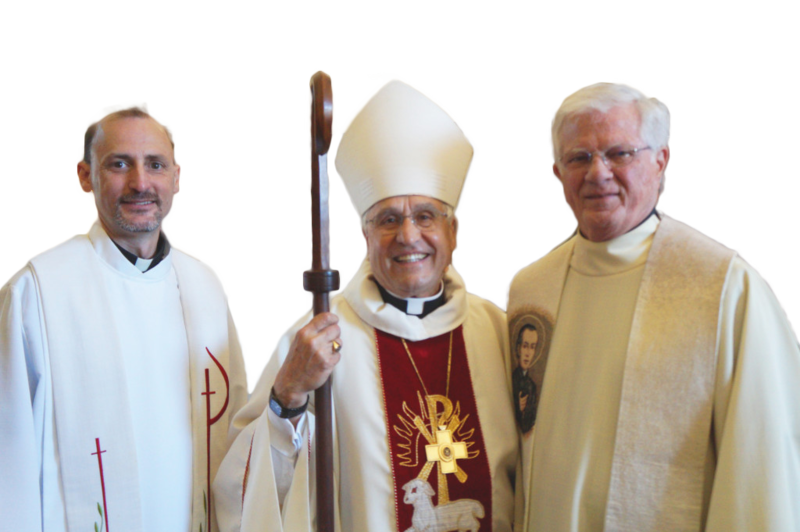 The Bishop celebrated a Mass in Mt. Pleasant to show support for the affected families. They took up a collection to help with legal expenses. At our June Assembly two years ago, as a Precious Blood community we took a corporate stance on a Just Reform of our Immigration System. We recognize that there is no question that our current immigration system is seriously broken. The whole issue has been tossed around like a hot potato for decades and nothing has been done. It is broken in regard to the detention system in place. It is broken in its deportation policies. It is broken in the level of response to those caught up in the legal complexities involved. The Trump administration is seeking to dramatically expand detention including asylum seekers and LGBTQ detainees who are uniquely vulnerable to sexual abuse while in detention. They often place transgender individuals in the wrong populations where they suffer terribly. In a rare public appearance on Monday May 7, Melania Trump unveiled the BE BEST initiative creating an awareness campaign dedicated to the most fragile among us — our children. This program is to provide support and guidance to all children. She emphasized how important it was to care for the social, emotional and physical well-being of the most vulnerable among us. “Children deserve every opportunity to enjoy their innocence,” she said. Less than an hour later Attorney General Jeff Sessions announced our government’s policy of forcibly tearing children away from their parents who have crossed our border illegally with their small children. Separating the most fragile and vulnerable among us from their parents is now the proud policy of the United States Government in terms of border enforcement. There is no law that requires that children be separated from their parents. This policy could be rescinded today. The Trump administration has made a choice to tear families apart leaving unimaginable scars. We should commend the First Lady for her BE BEST program advocating for our children. But who are more vulnerable than the immigrant children who are fleeing with their parents from poverty, hunger and violence? Are they not our children as well? Should we not care for their social, emotional and physical well-being? Do they not deserve every opportunity to enjoy their innocence? What should we say to our government about taking babies and children from their parents? As Precious Blood Missionaries we continue to work for a reform of our broken immigration system. Please pray for those suffering in fear in Ottumwa, Iowa and elsewhere. If you are able to give financial support, please contact Fr. Jim Betzen. Contact First Lady Melania Trump and express your concern that we should care for all vulnerable children even those who are undocumented. Let Attorney General Sessions know that this administration’s policy separating children form their parents is shameful and immoral.